Have you seen me? This portrait of young William Clark has been missing since the mid-1950s, when it was known to be in the possession of Mrs. William Bryce, who purchased it from the estate of Clark's granddaughter Eleanor Voorhis. If you know anything of its whereabouts, contact Carolyn Gilman, the special projects director at the Missouri History Society. 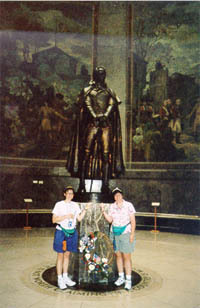 Our novel The Fairest Portion of the Globe is about how Lewis and Clark became such good friends. 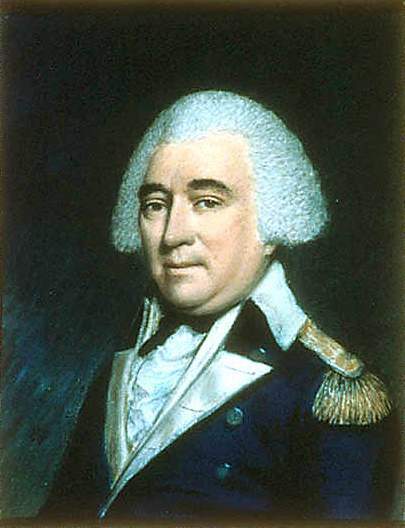 They met as young officers under the command of “Mad” Anthony Wayne during 1795-96, a time in which the army was occupying the Ohio territory and guarding against the many intrigues, foreign and domestic, that imperiled the western United States. 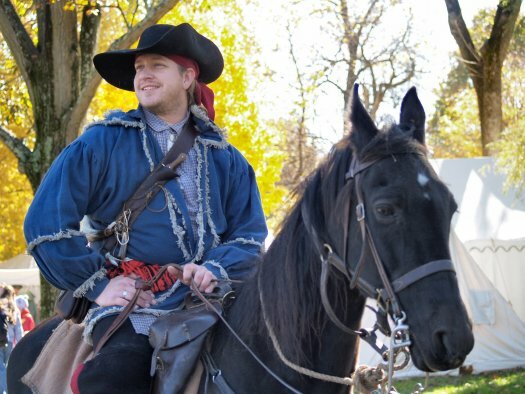 Before he met Lewis, Clark was involved in one of the most significant and underrated military campaigns in American history. 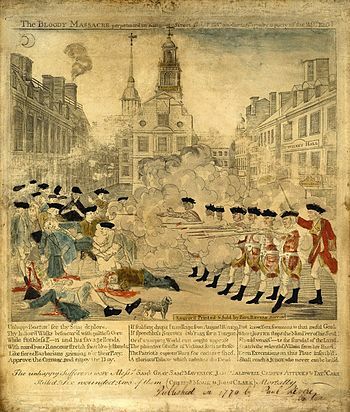 Following the American Revolution, the British never withdrew their troops from the western territory of the United States. 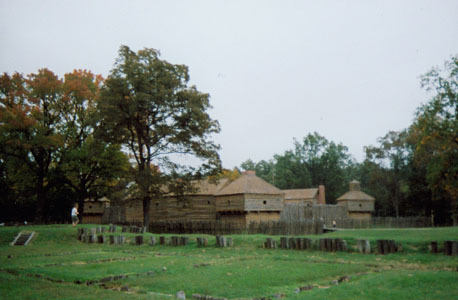 Instead, they formed an alliance with the Indian tribes of the region–Chippewa, Ottawa, Pottawatomi, Shawnee, Delaware, Mingo, and Wyandot–and waged unrelenting warfare against the civilian populace in the West (mostly settled in Kentucky). This war became a brutal “eye-for-an-eye” quagmire with seemingly no possible end. The early campaigns to strike back against the Indians were led by militia leaders (including Daniel Boone and George Rogers Clark). Any success these campaigns had never lasted; the Indians, armed by British might, would regroup and launch more attacks. 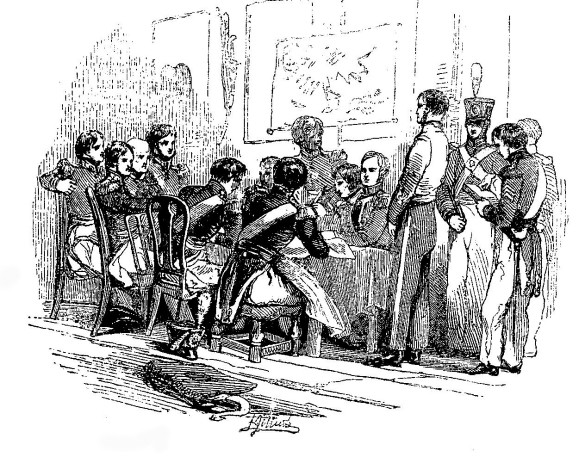 Finally, after the present Federal government was formed, the United States took on the responsibility for combating the Indian-British menace. 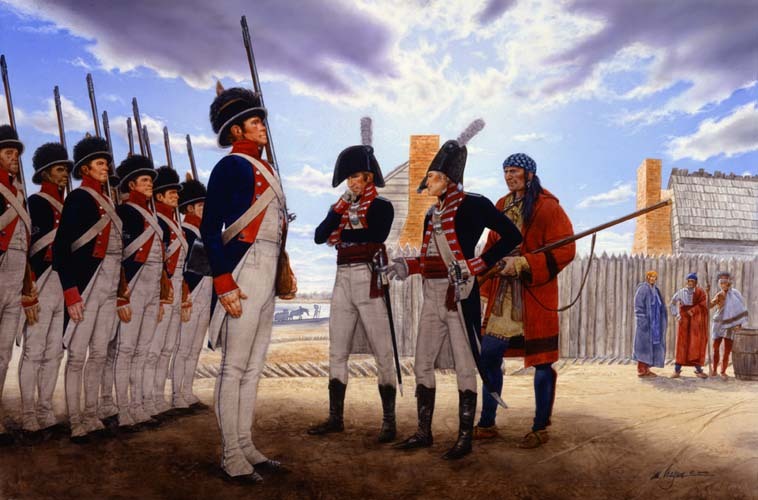 In 1790, General Josiah Harmar’s punitive expedition against the Wabash and Miami Indians was beaten badly by the forces of Little Turtle, the Miami chief whom historians consider one of the great military geniuses ever produced on the North American continent. 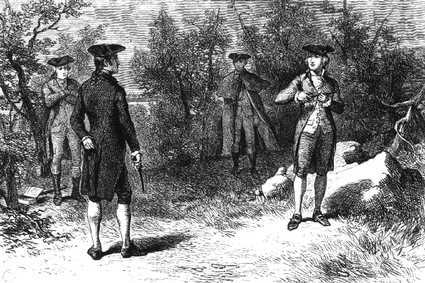 Stung by the humiliating defeat, President Washington authorized a huge force under General Arthur St. Clair. 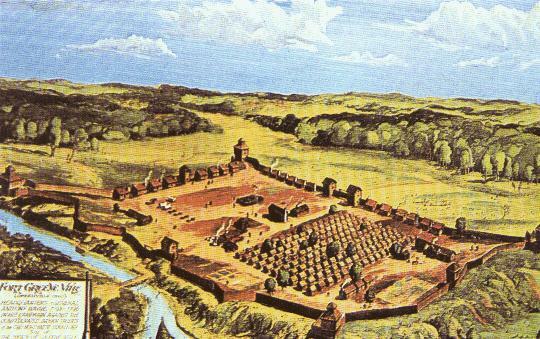 St. Clair moved out of Cincinnati in the fall of 1791 at the head of 1400 men–virtually the entire United States Army as it existed at that time. The result was utter disaster. 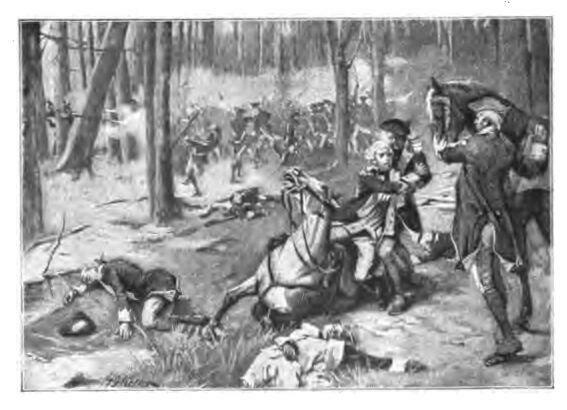 Indian forces under Little Turtle and Blue Jacket ambushed St. Clair’s army and inflicted a defeat so overwhelming that it far eclipses Custer’s Last Stand in scope. 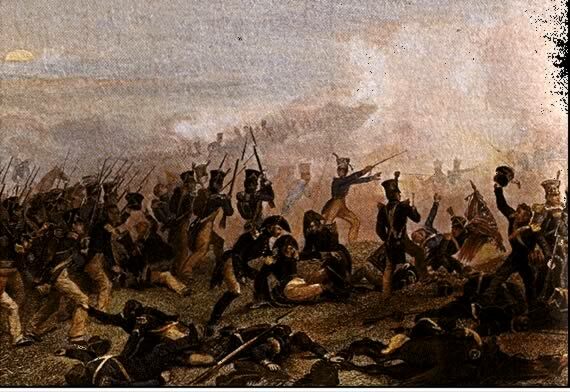 Over 600 of St. Clair’s men were killed and another 258 wounded–an astounding 62% casualty rate. (About 200 died at Custer’s Last Stand in 1876 out of 2400 assigned to the campaign). In essence, the United States Army was wiped out, a defeat comparable in magnitude to the Navy’s losses at Pearl Harbor. 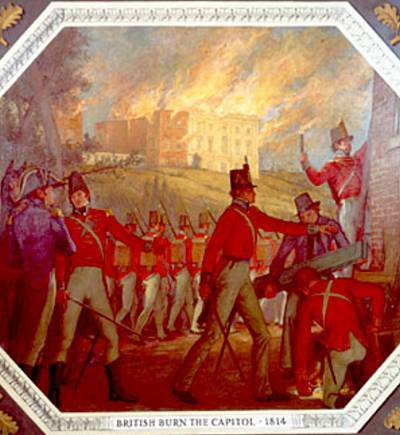 In the aftermath, international observers predicted that it was only a matter of time before the United States lost the west to Britain; the credibility of George Washington’s government was in a shambles. 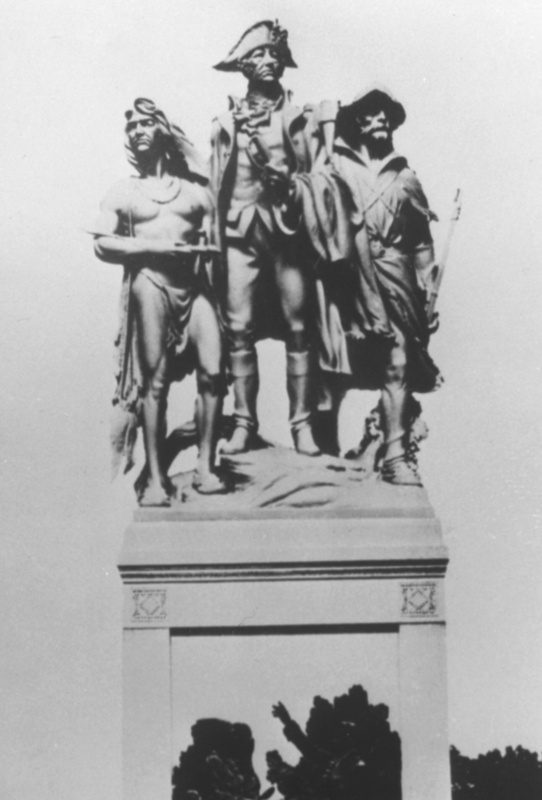 The Fallen Timbers monument near Toledo, Ohio depicts Mad Anthony Wayne along with a Kentucky militiaman and an Indian combatant. 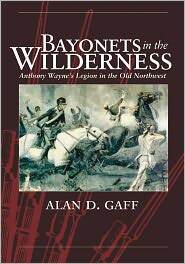 Enter Anthony Wayne, known since the Revolution as “Mad Anthony.” Wayne was named commanding general of the newly-formed Legion of the United States and given carte blanche to recruit, train, and outfit a force. 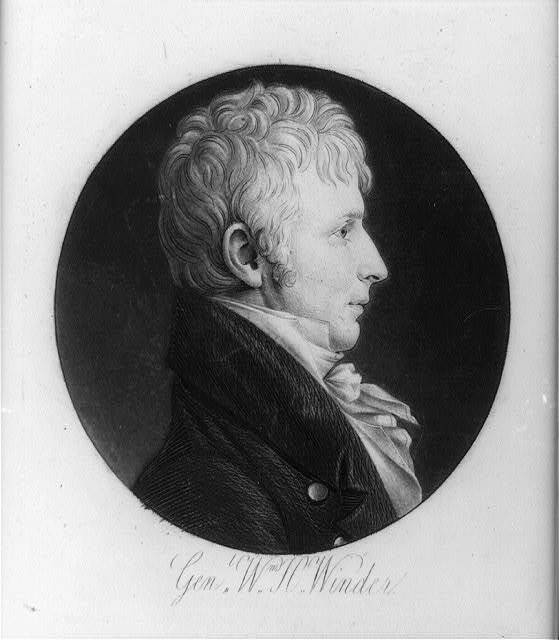 While the Washington Administration tried and failed to negotiate a settlement with the Indians, Wayne meticulously prepared a campaign to seize the Ohio territory, defeat the Indians, and lay the groundwork for a lasting peace based on military might. 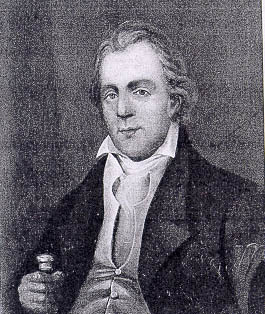 William Clark, who had previously served in the Kentucky militia and was lucky to have escaped getting mixed up in St. Clair’s Defeat, joined Wayne’s Legion as a lieutenant in March 1792, at the age of 21. It is interesting to note that Clark didn’t like Wayne very much. 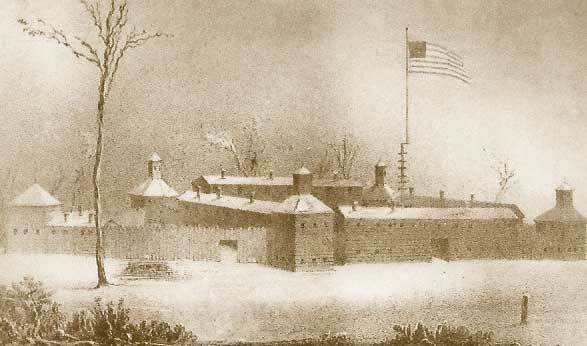 The army waited at Cincinnati and prepared for war until the summer of 1794. Young, eager for glory, and under the influence of Wayne’s arch-rival James Wilkinson, Clark was an enormously frustrated young man who complained constantly that Wayne was a sick, timid old granny who was unwilling to fight. The head of the long talked of Hydra might have been so easily severed from his body, one of his heads at least, which must have greatly wekened him & perhaps saved the effusion of much blood, but this is no consideration with some Folks. 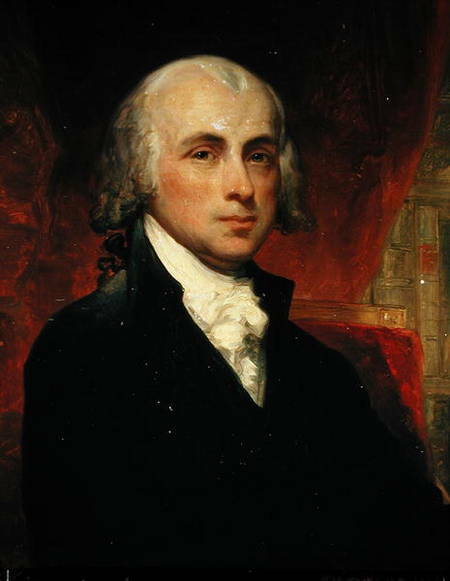 I am now lead to a reflection which if indulged, would perhaps give me two great a disgust to a Military life, and embiter my present situation — Were subalterns of this army, in general, to forego such oppertunities of rendering theire Country a service & absolutely so far neglect their duty, as do some officers of higher rank, what merit would they find. Non. 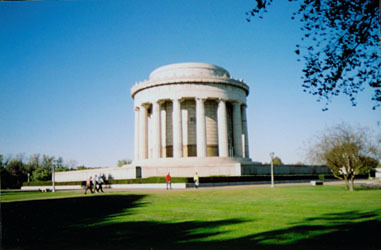 On August 20, 1794, Clark and the Legion met the Indians in the forest near present-day Toledo, Ohio. After a short, pitched battle, the Indians realized they were up against a superior force and ran. Though not a spectacular fight, the Battle of Fallen Timbers would go down as one of the turning points in American history. 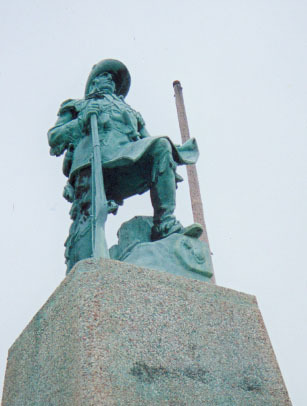 What Clark hadn’t realized in his inexperience is that Wayne and the Legion had seized and fortified every significant portage point and river junction in the territory during their slow march north. Realizing this, the British declined to help the Indians, casting them back on their own devices. In the meantime, Wayne’s troops destroyed the Indians’ fall harvest and prevented them from regrouping in the villages over the winter. The tribes had been outsmarted and had no choice but to come to the bargaining table. In the summer of 1795, Wayne and the Indian leaders negotiated the Treaty of Greeneville, which secured America’s hold on the Ohio territory. In terms of historical consequence, it was one of the great victories in American history. 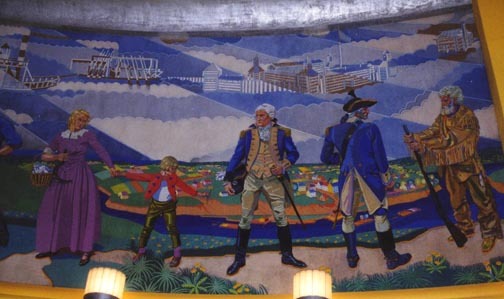 This mural in Cincinnati's Union Terminal shows the town's beginnings as a military outpost. Fort Washington, where Lewis and Clark met and lived, is in the background. 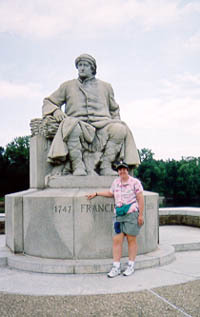 And what did Clark and his new friend Meriwether Lewis think about all this as it unfolded? You’ll just have to read The Fairest Portion of the Globe to find out. Why not “Buy Now” at the top of this page? You know you want to.